State Bank of India has issued a recruitment notification on 23/03/2017 and this notification for recruitment of specialist cadre officers in state bank groups. The SBI invites online applications from the eligible and interested Indian citizens in the given following specialist officers posts for wealth management in State Bank of India on regular and contract basis.. In this recruitment candidate can apply for only one post under this project. The process of Registration of application is complete only when fee is deposited with the Bank through On-line mode on or before the last date for fee payment. ADVERTISEMENT NO. 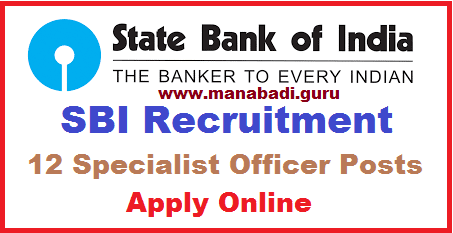 CRPD/SCO-WM/2016-17/21: SBI Recruitment 2017 – Apply Online for 255 Officer Posts: Central Recruitment & Promotion Department, State Bank of India (SBI) has published notification for the recruitment of 255 Officer vacancies in Specialized Positions for Wealth Management on contract basis. Eligible candidates may apply online from 24-03-2017 to 10-04-2017. Other details like age limit, educational qualification, selection process, application fee & how to apply are given below.. Candidates upper age limit should not exceed 45 Years (Post 1), 40 Years (Post 2,3,5,7,8), 35 Years (Post 4,6) As on 31-12-2016.Age relaxations will be applicable as per the rules. Candidates should have done Engineering Degree / Post Graduation Degree or its equivalent qualification from a recognized university. Eligible candidates may apply online through the website www.sbi.co.in from 24-03-2017 to 10-04-2017 & send hard copy of the online application with photocopies of ID Proof, date of birth certificate, educational qualification certificates, mark sheet/ degree certificate, experience certificate, brief resume, e receipt of fee payment, SC/ ST certificate, OBC certificate, PWD certificate by post to the State Bank of India, Central Recruitment & Promotion Department, Corporate Centre, 3rd Floor, Atlanta Building, Nariman Point, Mumbai – 400 021 on or before 13-04-2017. #Click Here For SBI Recruitment 2017 Detailed Advertisement. #Click Here For SBI Recruitment 2017 Apply Online.